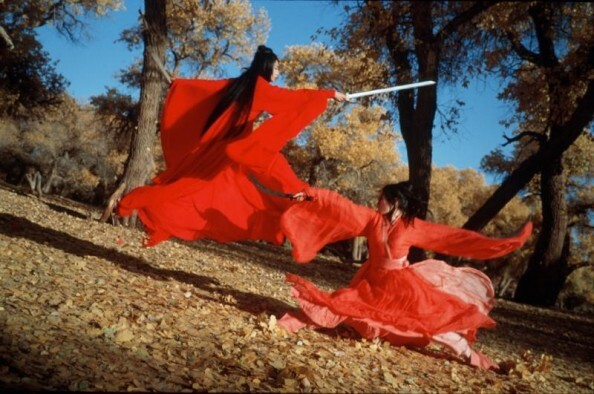 Zhang Yimou’s breakthrough martial arts epic is a lavish visual feast best appreciated on the largest screen possible! Set in the third century BC as the ambitious, war-mongering king of Qin is trying to unite China by force, it stars Jet Li as a nameless swordsman granted a rare audience with his sovereign after killing three fearsome assassins (played by some of Hong Kong cinema’s greatest, Donnie Yen, Tony Leung and Maggie Cheung). As the sly king questions the ‘hero’, we are presented with three different versions of the events, each colour-coded. The result is a sumptuous spectacle combining graceful fight scenes, magnificent d&#233cors, dubious truths and questionable politics. Guest speaker: Zo&#235 Baxter, presenter of Resonance FM’s radio show on East Asian culture. Film students and aspiring film writers are invited to enter our film writing competition: write a 200-word review of Hero and send it to ladyvengeance [at] electricsheepmagazine.com, marked ‘Film writing competition’ in the subject line. A film expert to be announced shortly will pick the best entry. Deadline: Thursday 26 August. The selected review will be published on the Electric Sheep website in September. Read the May winning review of Midnight Cowboy. Read about My Son, My Son, What Have Ye Done?. Read our review of Splice. In a pair of Q&As recorded at the Electric Sheep Film Club, in the Prince Charles Cinema in London, Alex Fitch talks to BFI programmer Emma Smart about gay themes in Westerns after a screening of Midnight Cowboy and to Ian Rakoff about the crossover between Western-themed comics and movies before a screening of For a few Dollars More. Ian Rakoff will talk about ‘Magical realism and social realism in comics’ at the Victoria and Albert Museum on 21 July 2010. Listen to Alex Fitch’s first interview with Ian Rakoff, about writing for The Prisoner and his experiences in the world of film. Read about the Brothers McLeod’s The Moonbird.